Stick magnets by Strong Like Bull Magnets are an ingenious way of getting organized no matter the weight or project at hand. Do you ever find yourself wishing you had a way to simply organize your space? How many times have you lost your keys or found yourself on the floor searching for a cable you’ve dropped again? With Strong Like Bull Magnets, you have a simple, go-to solution that works every time. Designed to provide a simple peel and stick design, you can use them anywhere to have a straightforward, fast solution for organization. These magnets, in their cool machined aluminum housing, even look good no matter where you place them. But, what’s really unique is the way they work. Peel off the backing. Place the magnet wherever you need to so your items are always within reach. The magnet within allows you to keep everything from your car keys to an important screw at arm’s reach. It’s fast, simple and incredibly effective. Store anything you need anywhere. These are extra strong and come in a wide range of colors and styles. You can place them on your whiteboard or perhaps on your locker. You can use them on refrigerators, of course, but think more uniquely such as on your steel door to the garage or a tool box. Once in place, just them! Strong Like Bull Magnets are helpful anywhere. They can help you keep tools, USB cables, and any other metal object easily within reach. You can count on them to last for a long time and remain in place securely. 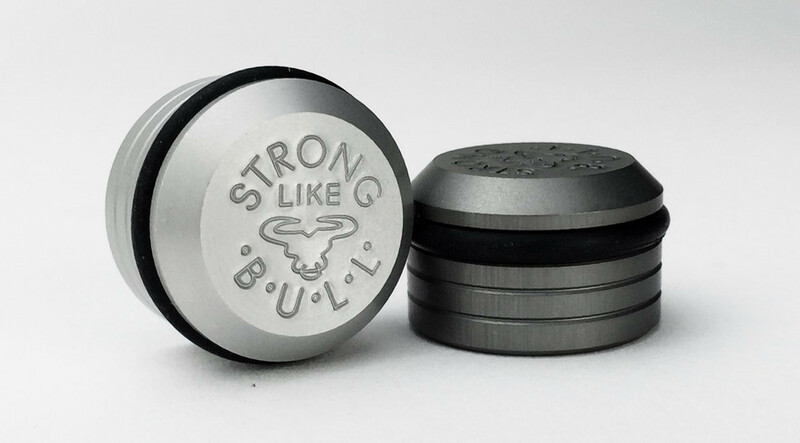 Designed to be practical, but very cool, use Strong Like Bull Magnets in your place of business, at school, or at home. You’ll find it hard to believe you ever lived without them.